Continuing from my last health article on healthy food choices, I wanted to write about a common ingredient in our household and it is salt! Salt is known to be the most abundant and the important natural resource in the world. Something you would not want to miss in your meals because most of the food would taste unexciting and bland without it. Made of two chemical elements Sodium and Chloride, the salt plays an important role in the normal life of an average person. Salt naturally forms in the ocean, but it is also mined on the land from the mines. You all must have noticed that salts come in different sizes, shapes, and color. Contradictory to the common belief, not all the commercial salts are same. There are different variety ranging in the taste delivery, texture, and mineral content. In this article, we will highlight the most commonly used salts. 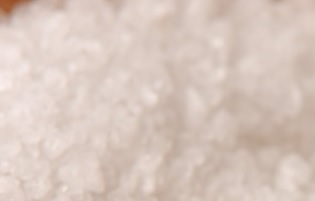 One of the most common types of salt in tabletops and kitchen cabinets is refined table salt. The salt was originally produced from evaporated sea water or salt mines and is characterized by the bleached and fine texture. Whenever you read the word refined, remember that it has been processed which means it has been modified from its original form. Table salt consists of dietary iodine that is important for many health benefits. Sea water is evaporated to get the sea salt and is mostly used by people who have a deficiency of iron, potassium and zinc in their body. The texture of the sea salt is rough and the flakes are bigger in comparison to the normal salt. The sea salt is used by people togged rid of acne and various other skin related problems. Helps in treating rheumatoid arthritis, psoriasis, osteoarthritis, etc. Kosher salt, also known as rock salt, is a type of edible salt with a large grain size made from the salt crystals. This was used originally by the jewish people to take the blood out of the surface of the consumable meat. The coarse texture of the salt makes it perfect element for koshering the meat. Though the table salt and kosher salt are derived from the salt mines or through evaporation of the seas water but they both cannot be taken as same. The difference in both is that the kosher salt is not iodized which makes it a perfect ant-caking agent. The Himalayan salt which is considered to be the purest from of salt, is derived from the Himalayan ranges. This salt was formed after the deposits of million years of marine fossils and is derived from old sea beds found in certain geographical regions around the world. This salt was used by natives of the Himalayas to keep their meat preserved and was also bartered for various other commodities in return. Presently the Himalayan salt is used for cooking, bathing, and air purification purpose. When we talk about selecting a healthy salt for your diet, do not get mistaken with the price. It is always better to use unprocessed salt over refined one because of the lower sodium content and higher essential minerals. Choose a suitable salt that fulfils your needs and promotes a healthy lifestyle.